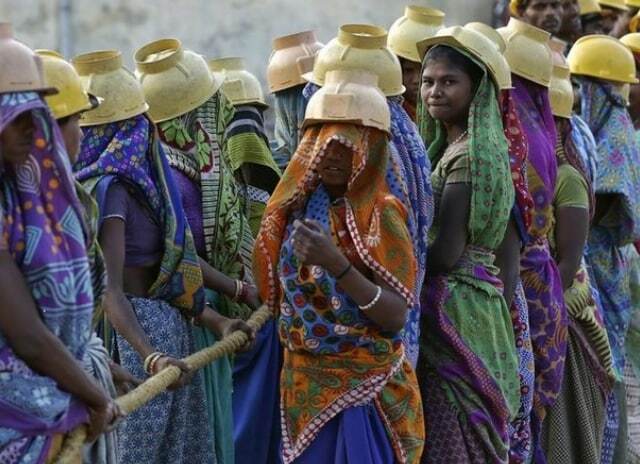 Indian women, especially those working in precarious informal sectors, are at the sharp end of what economists and opposition politicians describe as a jobs crisis in India. According to the private Centre for Monitoring Indian Economy (CMIE), 90 per cent of around 10 million jobs lost last year were held by women. While Modi remains the favourite in general elections that kick off next month, insufficient employment - despite India's roughly 7 per cent economic growth rate - is a major voter worry. "When nearly fifty per cent of the labour force is unable to live up to its potential, India is foregoing significant growth, investment, and productivity gains," said Milan Vaishnav, director of the South Asia programme at the Carnegie Endowment. But the official report, leaked to local newspaper Business Standard in February, shows the female labour participation rate was merely 23.3 per cent in 2017-2018, down about 8 percentage points from 2011-2012. Private estimates are gloomier. CMIE puts the figure at just 10.7 per cent between May and August 2018.